The AFL Players' Association today unveiled the 2018 22Under22 team, which honours some of the game's most exciting young talent. It comes as no surprise that a number of Lions have been named in the final team, following impressive seasons at the Club. Harris Andrews, Alex Witherden and Eric Hipwood have been named in the final team selected by fans. It is the second year in a row that both Andrews and Hipwood have earned their spot in the AFLPA's best. 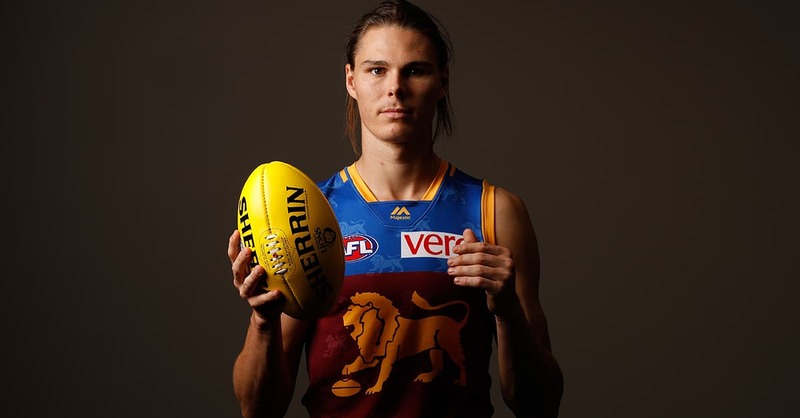 They join six other players from last year's side, including Marcus Bontempelli (Western Bulldogs), Charlie Curnow (Carlton), Zach Merrett and Andrew McGrath (Essendon), Clayton Oliver (Melbourne) and Isaac Heeney (Sydney). Only four Lions have ever made the 22Under22 team in its seventh-year history: Andrews and Hipwood twice, Witherden now once and Jack Redden in 2012. Hugh McCluggage has narrowly missed final selection after being initially named in the 22Under22 squad. For Bontempelli, it is the fifth year he's been selected in the side. He was also named captain of the team in his final year of eligibility with 2017 Melbourne best and fairest winner Clayton Oliver the team’s vice-captain. This year’s 22Under22 side features 12 first-timers and one All-Australian (Clayton Oliver). The 40-man squad was narrowed to the best 22 players aged 22 and under as voted by footy fans. To be eligible for selection, players had to be aged 22 or younger for the entire AFL season, including finals.